The Grim Raver will be out for your soul!! Expect an audiovisual assault on your DNA, mutating the very fabric of your existance! Heavy metal dark dnb dubsteppahs providied by our global jet setting brederenz Broken Note! Expect distorted leads, filtered reeses, staggering rhythms, auditory hallucinations, shifting tempos and bleak sonic aesthetics of the Industrial landscape to deliver astonishing heaviness that’s as razor sharp at clubs and festivals as it is in the vast, dilapidated warehouses of the underground. 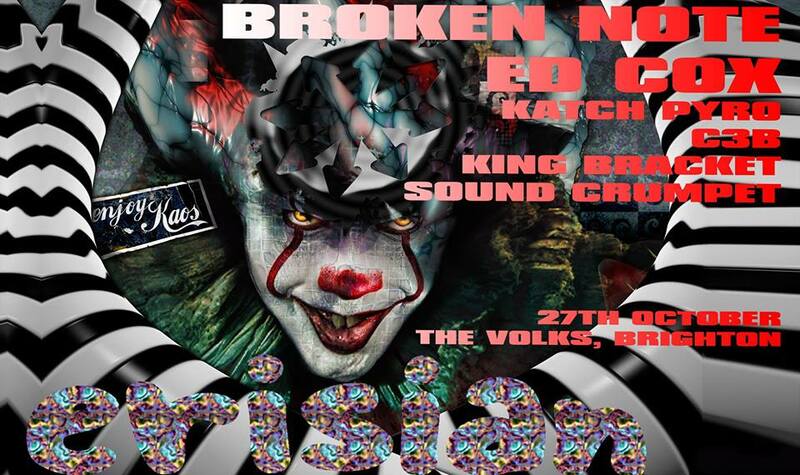 The hardcordian ringmaster of the dark clowns returns to the Volks with his live rave-carnival carnage! 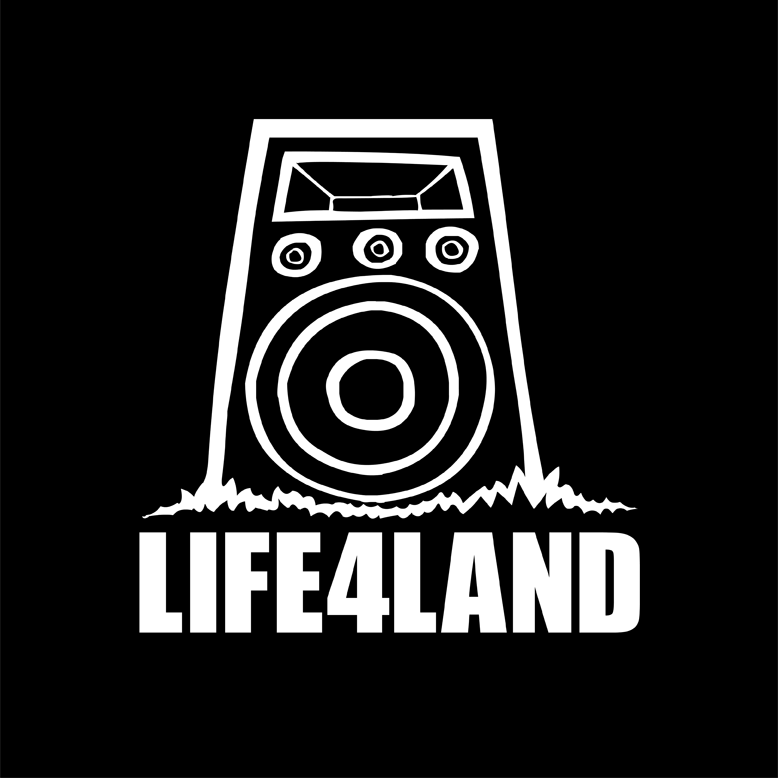 Life4Land badman has been smashing warehouses, fields, festies and clubs internatio nally for over a decade and helped make Erisian the monster that it is today! Our very own musical genius, mastering any genre you throw at him from avinit covers to original dancefloor bangerz, has his widely anticipated album coming out soon! Another Erisian disciple, C3B has been destroying dancefloors round Europe with his pounding brand of raggatekno. Hypnotic spiral brain melt vijisualz for the masses! Soundcrumpet have been going from strength to strength this year with a run of nights, festival and an album on the way. They will be providing a variety of styles from bass to breakcore and everything in between, with their full soundsystem shaking the Volks foundations!